The Next Big Thing is a rather lovely blog chain, with writers talking about their newly-published or soon-to-launch books, and then tagging other writers to talk about theirs. Thanks very much to Max Scratchmann for plugging me, and giving me a chance to plug myself and to plug some writers I admire. Plug plug away! My thing is not a big thing. It is a wee poetry pamphlet, and it’s launching at Rally & Broad on Friday 16th November. Orkney is my home, it’s where I spent all my childhood and adolescence, but I’ll always incontrovertibly be an incomer there. When you’re an incomer to your own home, it gives you funny feelings about identity. A lot of the book is about that. And about how our sexual and romantic relationships are often ways of discovering or remaking ourselves. It’s also a love letter to the American south, which culture I’ve fetishised for many years, in pretty much the same way many Americans fetishise Scotland. I got my start in poetry at slam nights, open mics, and other performance poetry gigs. While I’m now as happy working with pages as with stages (the two are distinct but inseparable artforms), I think that’s given me a focus on voice, on the orality/aurality of poetry. An idea running through all of the pamphlet is what it means to speak. I think the most re-occurring noun in the pamphlet is “tongue”. 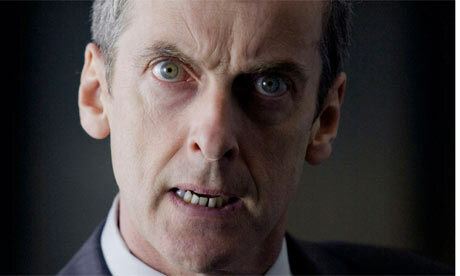 Around a third of the pamphlet is written in a magpie and mongrel Scots. This is not my first language, but it is a significant part of my languages. Literary Scots has a strange tradition of construction and reconstruction, and I’ve had a lot of fun taking part in that. And I take it seriously. I grew up immersed in the Orcadian form of Scots, but for someone from English stock to be writing in Scots is still difficult and highly politicised. A lot of the book is about how we grow into and choose our identities, and the identity clashes and colonialisms between England, Scotland and America. The movie of this pamphlet would be the sordid and overwrought story of a decades-long menage-a-trois between John Barrowman, Dolly Parton, and Peter Capaldi. Twenty love poems, except some of them are hate poems, and some of them are addressed to Scotland or America or a building or a frying pan. It’s published by Stewed Rhubarb Press. The oldest of the poems is just over two years, but it’s my first pamphlet, so: nearly 26 years? What other books would you compare this pamphlet to within your genre? I genuinely don’t know! Name writers who’ve influenced my poetry include Baba Brinkman, Dizraeli, Robert Garioch, WN Herbert, Liz Lochhead, Philip Larkin, Edwin Morgan, Scroobius Pip, Kate Tempest. The peers I’ve shared work with on a regular basis for a long time have also influenced what I do — Caroline Crew, Chris Emslie, Laila Sumpton, Roddy Shippin. We were all writing at St Andrews around the same time, and we’ve all gone in different poetic directions, but I can feel their influence often. And the amazing literary community, especially the spoken word community, has been influencing and sustaining for many years — folk like Claire Askew, Milton Balgoni, Kevin Cadwallender, Anita Govan, Jenny Lindsay, Ryan Van Winkle, Rapunzel Wizard. Every writer whiffs of hundreds of others. Would I artistically compare myself to any of them? I don’t know. Ask a reviewer. Stewed Rhubarb Press is a bright new thing, and it’s doing good work helping spoken word artists realise their ambitions on the page — I don’t think a pamphlet from me would have happened already without the support and guidance of James and Rachel. And it certainly wouldn’t have happened without my partner, Molly, who is at the source of several of the poems, comments on and contributes lines or ideas to most of them, and does not get credited enough, because all writers steal and steal the most from the people who let them get away with it. I’m also going to tag my pal Mairi, who has a fantastic full collection very recently launched. Mairi has worked with me on Inky Fingers, turning our social media around, and is an all-round good thing. Can you share an extract? Why yes I can. In fact, I’ve added this question so that I can. Because I’ve promised Molly that I’ll include the following whenever using or plugging the Visa Wedding name, in case humourless people fail to see the metaphor. as likely as not to be true. 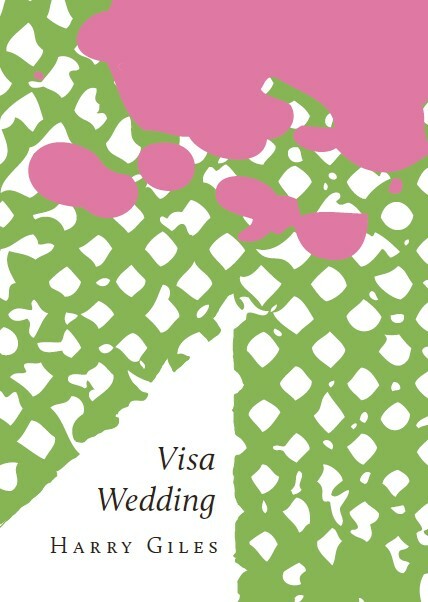 Visa Wedding launches on Friday 16th November at Rally & Broad. Online sales will be possible from this site from Sunday 18th, when you’ll also be able to download a sampler.